The American version of democracy rests on a set of fundamental concepts developed when the colonies separated from England in the 1700s. The new and breathtakingly bold social contracts governing equality, freedom, and the mechanics of self-government were fiercely debated and then spelled out in foundational documents: the Declaration of Independence, the Constitution, and the Federalist Papers. They werenâ€™t, however, the first such democratic arrangement in North America. In fact, there is a recurring suspicion that the thinking of Thomas Jefferson, Ben Franklin, John Adams, and other early American leaders was influenced by a three century old democratic alliance known as the Iroquois Confederation. Flag of the Iroquois Confederacy. Credit: Wikimedia Commons. Both legend and history says that the Confederation was founded by the real Hiawatha and his friend and ally Dekanawidah. Unlike the peculiar pictures painted by Henry Wadsworth Longfellow and Walt Disney, the real Hiawatha was a great statesman and peacemaker. Together, he and Dekanawidah helped organize the League in the face of two threats. One was the external predations of the Mohicans and other Algonquian tribes. The other was the internal dangers posed by a despotic and often murderous Onondaga chief named Atorarho. Hiawathaâ€™s and Dekanawidahâ€™s early organizing efforts were slow to take root but succeeded when Atorarho was both pressured and flattered into helping lead the new alliance. Hiawathaâ€™s and Dekanawidahâ€™s persuasions were clever. Representation to the council was uneven, with some tribes like the Onondagas having more delegates than others. The great equalizing rule, however, was unanimity. 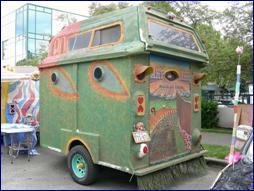 Each tribe retained its own sovereignty and could present any matter it wished for discussion. If at least one other tribe wished to hear the matter, the Council was obliged to hear it. Matters were then deliberated in a prescribed sequence with each member of the council having the right of veto. As a practical matter, Atorarho had no more real power than anyone else. Disputed matters were discussed, compromised, postponed, or dropped. The will of the group was then expressed by the leading chief. If consensus was not reached, each tribe was free to act as it saw fit so long as it did no harm to another member of the Confederation. Many rituals attended the Councilâ€™s deliberations, with different tribes serving as the carriers of different customs central to the whole. Though power was decentralized, some tribes were considered â€œOlder Brothers,â€� which conferred early Â speaking rights and a kind of â€œfirst among equalsâ€� tradition. The Onondagas became the â€œFaith Keepersâ€� and holders of the council fire. Meetings were conducted in a Long House. Before the practical matters at hand were taken up, a condolence ceremony would be held to grieve for members of the Council who had died since the previous meeting. 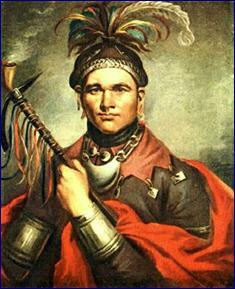 Cornplanter, A Seneca Chief. Credit: Wikimedia Commons. Local Art Fair. Credit: Wikimedia Commons. â€œLocal art fair stirs new debate.â€� â€œProposed forest rules anger local residents.â€� â€œDisabled activists battle for independent care. â€œJudge issues restraining order against on-line pharmacy.â€� â€œShareholders struggle to avert company breakup.â€� â€œFight erupts over school bond initiative.â€� On any given day, you may be reading headlines like this in the local paper. These smaller and larger miseries usually land in the collective lap of an agency, commission, board, council, or elected group where they are inevitably destined for lengthy hearings and an up or down vote. Thatâ€™s as it should be in an open society. But politically astute leaders of decision-making bodies also look for auxiliary opportunities to get factions together, to engage in dialogue, and to probe for resolution. There is in these leaders a combination of toughness, even occasional ruthlessness, that also combines with a sentimental optimism that people are capable of working out their own destinies. Their job is to give that optimism momentum and strength.